Dig-and-replace methods of sewer repairs were a major inconvenience to Ballard home and commercial property owners because of the time-consuming, expensive aspects of the job. At Bob Oates, we specialize in a trenchless repair method called cured-in-place pipe (CIPP) lining. This process rehabilitates sewer pipes and drain lines in just a few hours’ time. With the latest technological advancements and innovations, you can now get your pipe system fixed without worrying about day-to-day disruption. Our no-dig solution is designed to repair existing pipes through creating a new pipe within the old pipe rather than replacing it. We first identify an access point, such as a nearby vent or drain, which serves as an entryway for the trenchless process to begin. Our technicians fit in an HD camera to a flexible rod and performs a sewer inspection in order to assess the damage. This equipment allows us to actually see what’s going on inside your sewer lines and come up with a very accurate diagnosis, and small flags are used to mark spots where we deem repairs are necessary. During the camera inspection, our technicians will be able to determine whether CIPP lining is a viable procedure for fixing the problems found in the sewer system. CIPP lining is one of the most environmental repairs available. This technique doesn’t disturb natural fauna such as shrubs, trees, and grass. There are fewer manpower and machinery needed, which reduces overall carbon footprint. The pulled in place method makes use of a liner that’s saturated with special epoxy resin and involves pulling the liner in place using specialized equipment. Your pipelines will be cleared of any debris and calcified matter stuck inside with powerful hydro jetting equipment. High-pressure water scours inner pipe walls so that the resin sticks efficiently to the old pipe. The result is a new pipe that’s set within the existing structure. The new pipe is made of a tougher, more durable material that’s non-hazardous and can be used to fix a variety of pipeline material types, including Orangeburg, PVC, galvanized iron, or concrete. 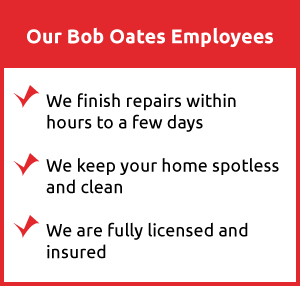 At Bob Oates, we guarantee to have your sewer repair done right in the most efficient way. Our technicians are knowledgeable in knowing when to apply certain trenchless techniques to fix sewer lines, and are prepared to offer these solutions when cured-in-place pipe lining may not be the most efficient method available. For example, if hundreds of feet of sewer lines need to be repaired, we will utilize the inversion method of installing a trenchless pipeline. Air and gravity is used to place the liner in position, and after it is set in place, the tube is turned inside out. We are always prepared for any situation we encounter in the Ballard area, and our services are guaranteed to satisfy and fully address the problems in your sewer system. At Bob Oates Sewer and Rooter, our technicians will recommend the best trenchless solution for restoring your sewer lines back to normal. Call us today for more information about how we can rehabilitate your sewer systems with pipe lining results that last fifty years or more! Bob Oates offers the exact solutions you need to fix your sewer system without delay. Our trenchless sewer repair service in Ballard, Washington is exactly what you need to get your sewer emergency fixed in no time. Our expert team will arrive in a prompt manner and get the job done quickly so you can resume daily activities. We’re equipped with the best and latest trenchless technology, equipment, and tools to resolve any sewer system issue we find. Our proven no-dig methods can be applied on all pipe materials, including PVC, clay, cast iron, Orangeburg, and more. Our trenchless sewer repair process always begins with a comprehensive camera inspection, followed by the ideal trenchless solution that causes no damage to your property. Our skilled technicians insert a high-quality camera attached to a flexible fiber optic line into the into your pipe, and the footage recorded is fed to our monitors for analysis and review. The fiber optic line allows us to deftly navigate the bends and corners of your sewer system in order to locate the problem in your pipes. We focus on solving the problem with accuracy, and our sewer camera inspections provide us with the exact coordinates and information we need to restore your sewer system back to normal. Our cured-in-place pipe lining process involves involves a flexible liner coated with a special epoxy resin. The liner is pulled into the pipe, and after it is placed in position, the liner is inflated using air or water pressure. The liner expands to adopt the shape of the old pipe, and the epoxy resin coats the inner walls evenly. The resin is allowed to harden for a few hours, resulting in a new pipe within the old pipe. Our trenchless technology eliminates the long, destructive steps of digging trenches or tearing down ceilings and walls. With trenchless sewer repair, the process can be completely finished with limited digging and ensuring that our customer’s property remains untouched. Trenchless sewer repair is a powerful method that can even be relied on to resolve emergency situations, including collapsed pipelines. Pipe bursting is employed to burst the old pipe and force the collapsed portions out of the pipe and allow us to set a new pipeline in its place. With a less invasive and more affordable solution, Bob Oates Sewer and Rooter is proud to offer trenchless sewer repair as the favorable process for our customers. Trenchless sewer repair requires less labor and heavy machinery to be conducted, and our repairs are installed so quickly that homes and businesses aren’t disrupted from water services being turned off or weeks at a time. 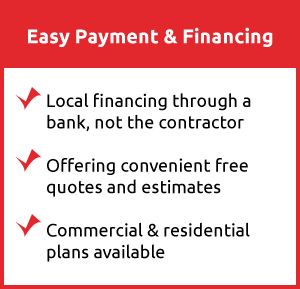 Our solution saves our customers time and money while ensuring that the repairs are accurately finished within a single day. With Bob Oates Sewer and Rooter, we promise affordable trenchless sewer repair for all of our customer’s needs in the Ballard community. If you need your sewer system to be restored, call us and schedule an appointment today.